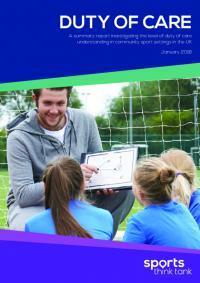 A research library of key reports on the sports and physical activity sector from a variety of sources. 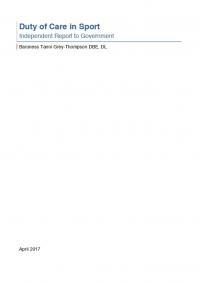 The review follows the Duty of Care in Sport report (April, 2017) led by Baroness Tanni Grey-Thompson DBE, DL which sets out clear recommendations that aim to look after the people at the very heart of the sector – the people who take part and volunteer. 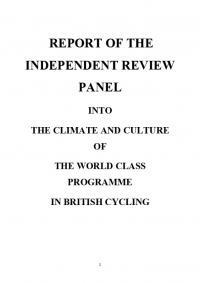 The findings and recommendations of the Independent Review into the Climate and Culture of the World Class Programme (WCP) at British Cycling. An independent review led by Baroness Grey-Thompson into welfare and well-being in sport. It sets out a list of themes and recommendations that aim to look after people at the very heart of our sector – the people who take part and volunteer.